Support for Latvian families “Augošai Latvijai"
We are for a healthy and growing Latvia. We believe in a favourable and safe environment for families here, where parents and their children can live easily and certain welfare is secured. Where families that face difficulties are offered help and every child has a chance to properly grow and develop. Another benefit for your and your family's covenience is a special family parking space at MAXIMA parking. Because it is not easy to manage all the wheels at the same time - your shopping cart and baby stroller. Moms have countless daily duties, and that is why they should never wait in line at the cash desk. Therefore, in MAXIMA shops there are special registers, which are created for families with little children. Young parents, who shop in MAXIMA and e-MAXIMA receive special benefits. The only thing you have to do - complete the registration form and sign up for the special discount. Let's help ill children to receive modern rehabilitation! To be a mother is the best and at the same time the hardest task in the world. Thus it is good when someone helps even with the small things, for example, with daily food shopping. Filled shopping cart at the doorstep - every mother would appreciate it. This home gives parents from all over Latvia an opportunity to be side by side with their child, while he receives treatment at the hospital. It is a place to sleep, as well as a place where to get support at difficult times. “Maxima” cares about self development and success of Latvian people, that's why for several years it carries out a project called “Maksimalisti” in which “Maxima” supports and encourages as many Latvians as it possibly can. Ghetto is the largest youth movement of street culture in the country, which encourages youngsters to be healthy and spend their time actively and positively. 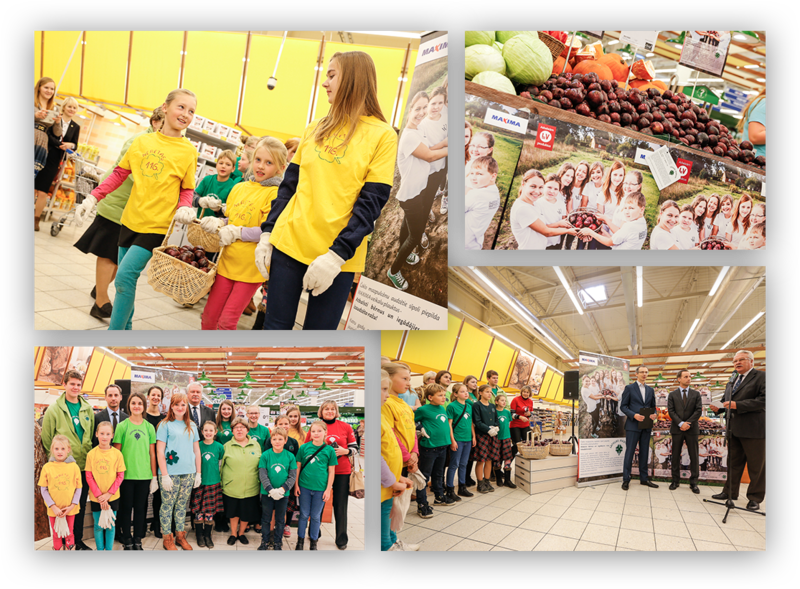 People in Latvia always appreciate the opportunity to purchase local products, as well as locally grown vegetables and fruits. Thanks to the successful cooperation with local companies, we can offer our customers qualitative Latvian products in a wide range. We have been cooperating with the Latvian countryside union Mazpulki since 2009. Every year we sell red onions that are grown by their youngest members, called mazpulcēni. The union has already supplied Maxima shops with a total of 2,6 tons of red onions that were grown in several regions of Latvia. Fresh, because prepared right on the spot! MAXIMA makes sure that the products are always fresh: by providing large selection, high quality and suitable environment in the shop. Fresh meat, fish, culinary products and desserts, as well as fresh fruits, vegetables are our priority. We can also guarantee fresh "Meistara Marka" bread, culinary products and pastries at all times - because everything from "Meistara Marka" is prepared right there on the spot! Favorite customer sweets! With the wonderful sweets, made by our experts, everyday seems like a holiday! Save your valuable time! Skillfully made products of Meistara Marka will save time spent in the kitchen. Spicy, unique taste and scent - directly out of smoker, that's why all of our products are always fresh, You just have to choose what the heart wants. Carefully selected, high quality, skilfully sliced local meat. It is time to pull out the grill!